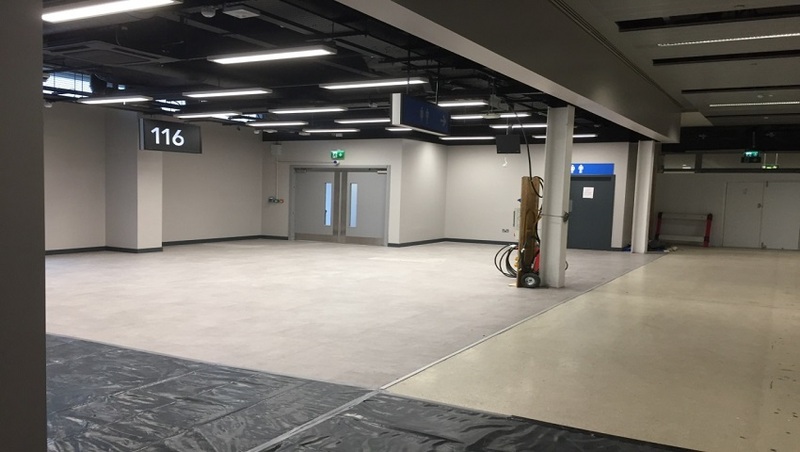 The works involved closing of gates 115/116 to allow us to set up our site & site compound. 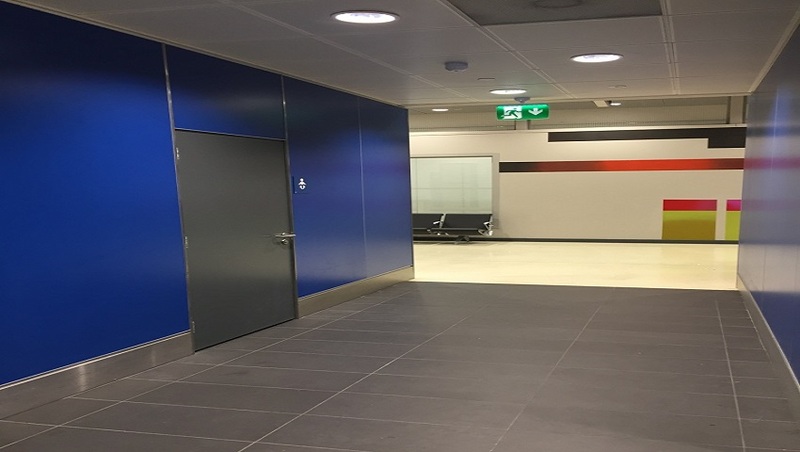 This involves erecting hoarding to prevent public access to our site, while making temporary corridors for access to arrivals hall. 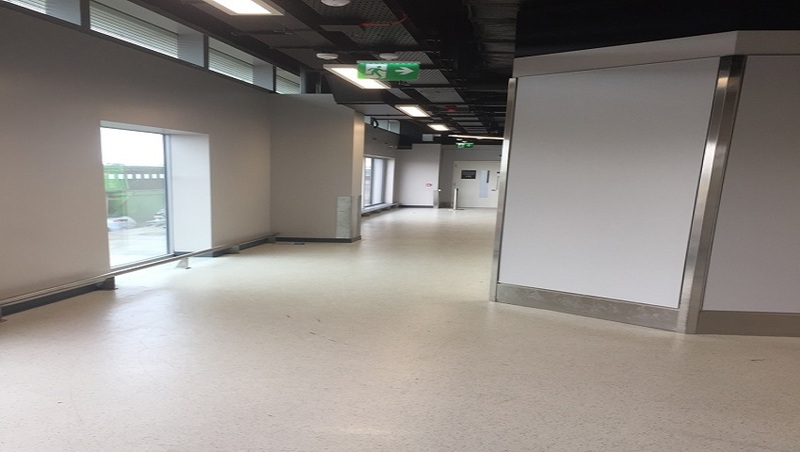 The new washrooms and retail unit are to facilitate for WP3, a new departures lounge which is being constructed next to our site. 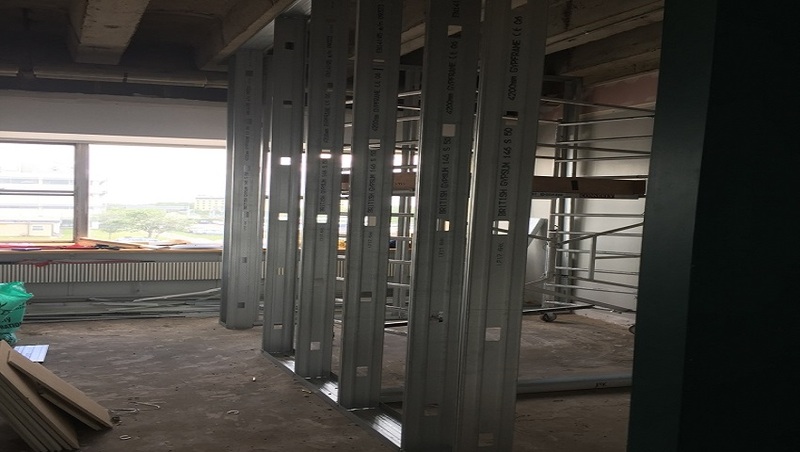 Both WP3 and WP4 are to be completed simultaneously for opening. 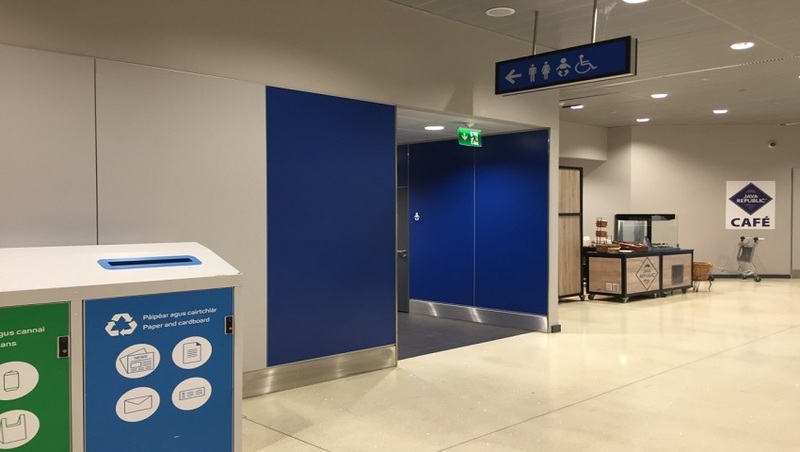 The existing toilets were demolished along with some inbound corridors. 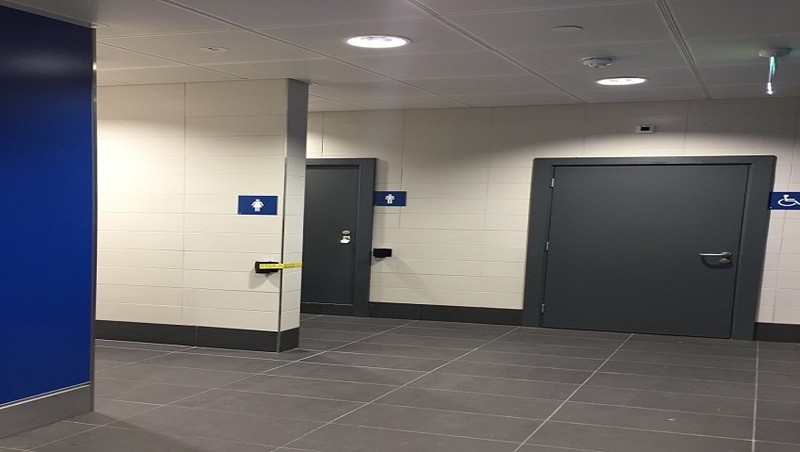 New toilets/WC facilities and a retail unit was constructed which include new connections to existing sewer lines on the ramp. 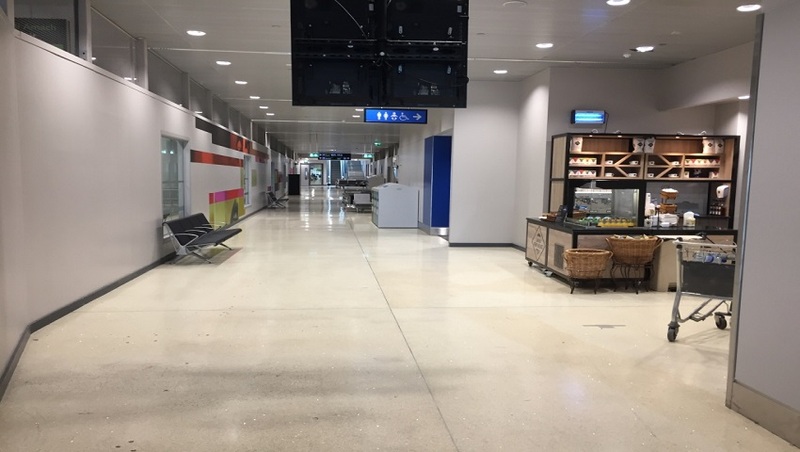 Two New inbound corridors were also constructed for inbound passengers from gates 113, 116 & 118. 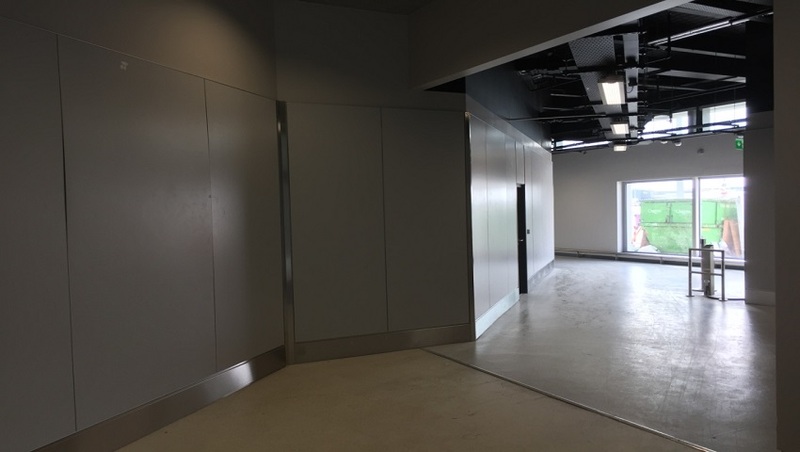 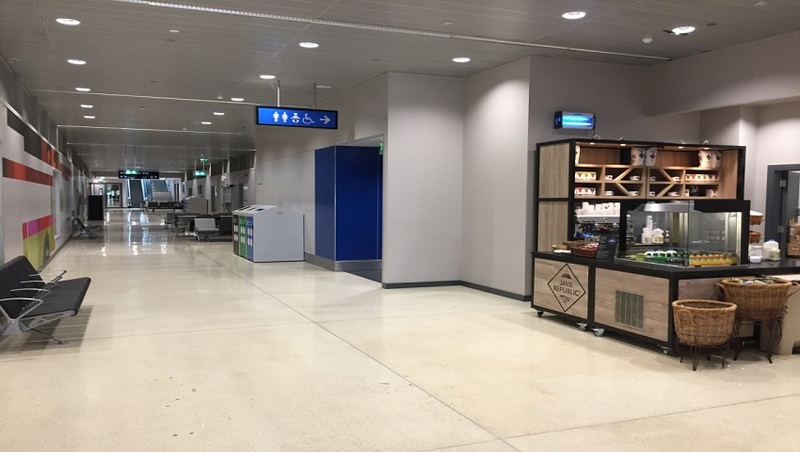 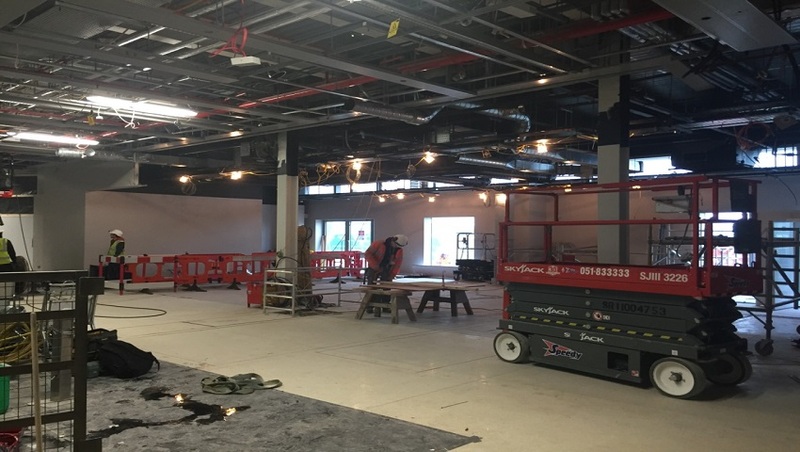 A complete new electrical and mechanical fit out was installed as part of the works incorporating the new washroom and retail units as well as the new passenger inward gates/corridors. 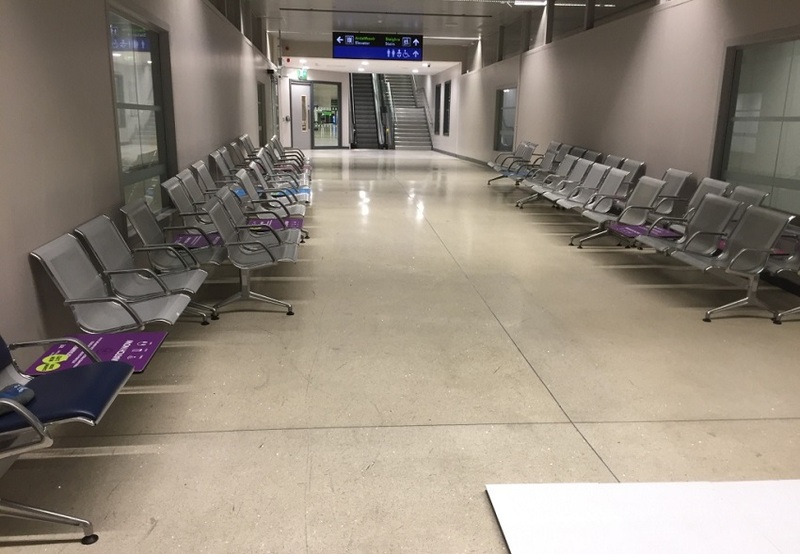 These works were carried out over a 14 week programme under three different phases which are time critical as certain sections of the works area were required for public use during peak dates. 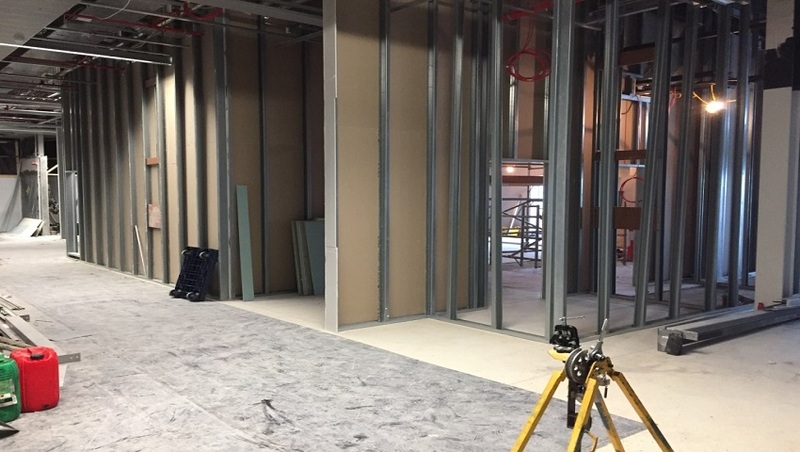 The works involved demolition of two no. 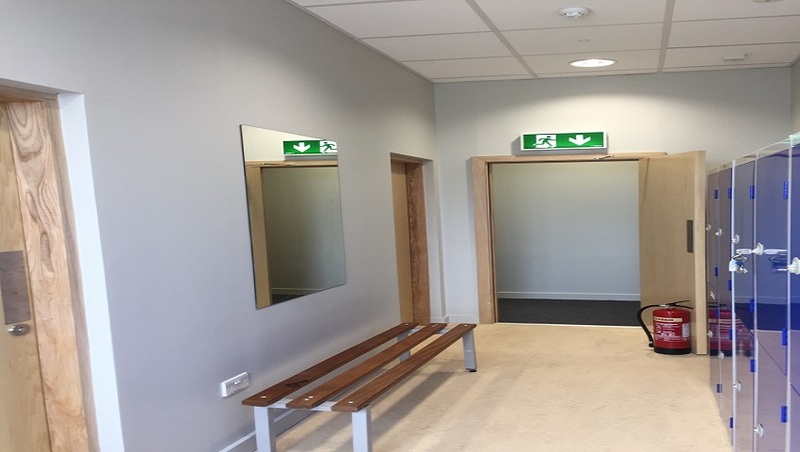 existing search rooms for customs officers on the first floor of the Aer Lingus Cargo 1 Building as well as a small locker room. 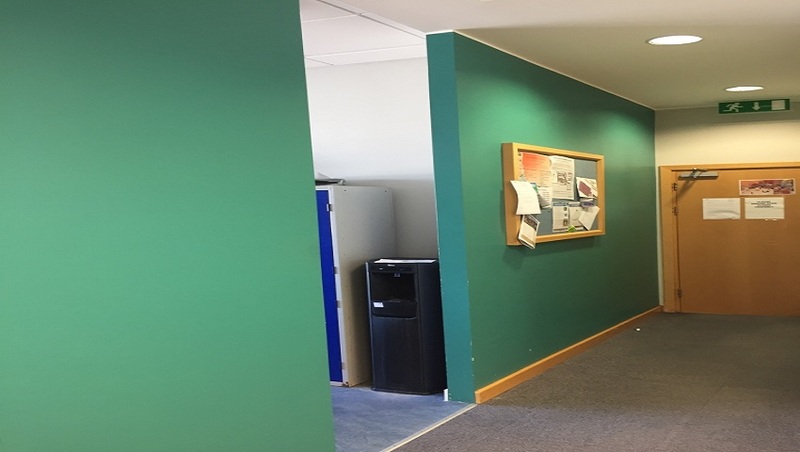 Two larger search rooms were constructed in this space utilising some office space that was only being used to store documents etc. 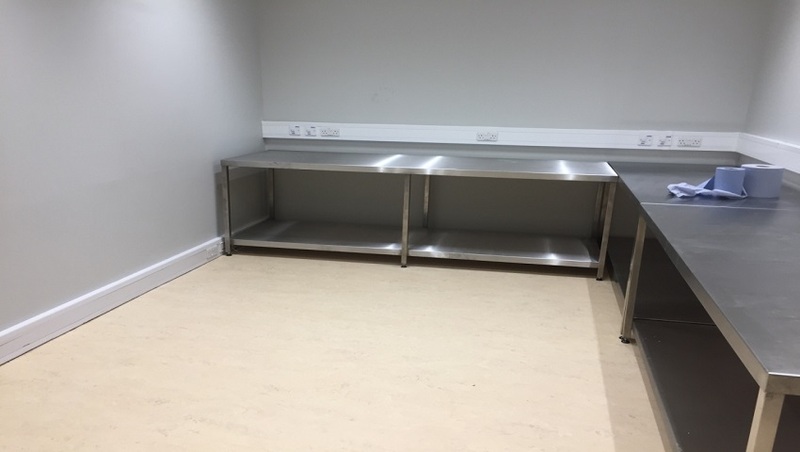 These were fitted out with Custom built Stainless steel search tables and hi spec safe and cctv systems. 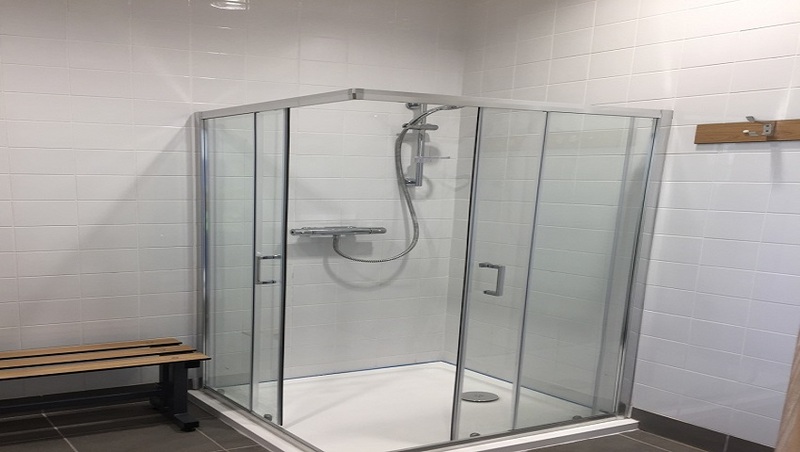 Also a new locker room with male and female shower facilities were constructed to cater for customs staff.